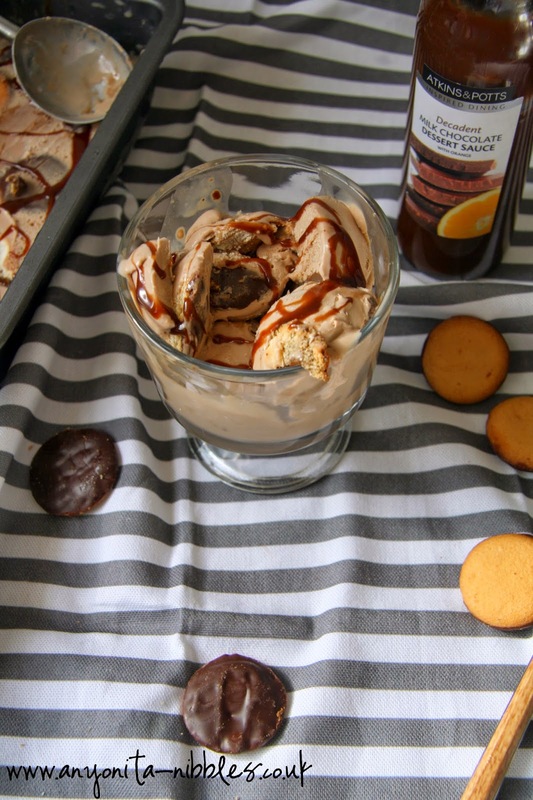 Indulgent and creamy chocolate no churn ice cream with mini Jaffa cakes; a rich and decadent dessert, bursting with orange flavor! 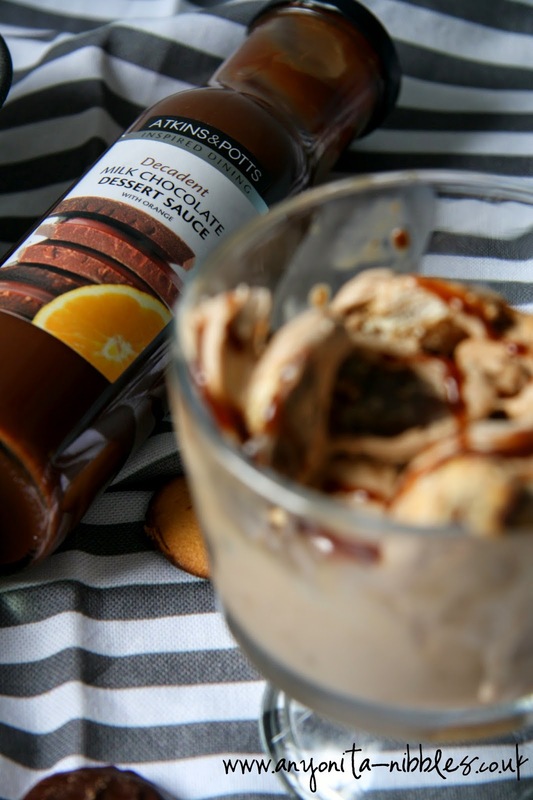 This ice cream is purely decadent, but you wouldn't expect any less, there's three types of chocolate and three flavors of orange. 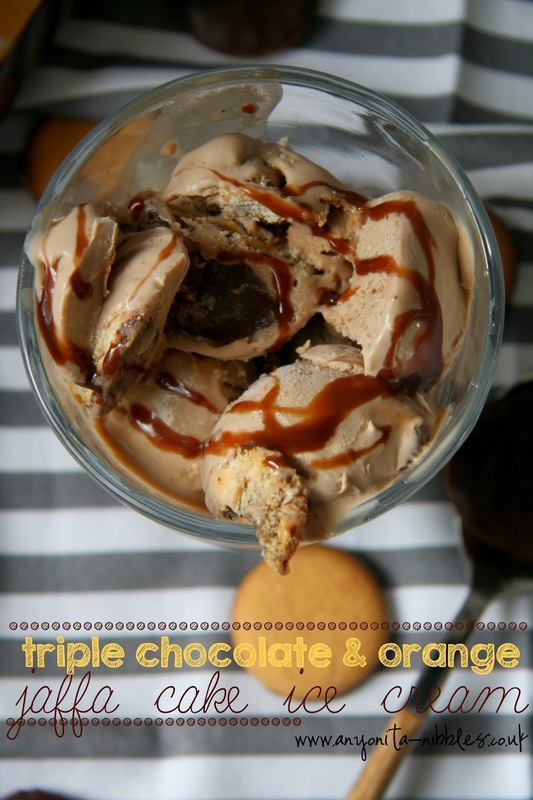 Chocolate and orange is my husband's favorite dessert flavor combination, so this ice cream got full marks from him. For my non-UK readers, a Jaffa cake is a type of spongy, soft cake-like biscuit with orange jam on top and covered in dark chocolate. These little biscuits are cult classics in the UK. Everybody loves a Jaffa cake. Well, except me. I'm not down with the kids, and I hate dark chocolate. And unless it's in a glass, I don't like oranges either. But, if you're not like me, then you'll love this ice cream! 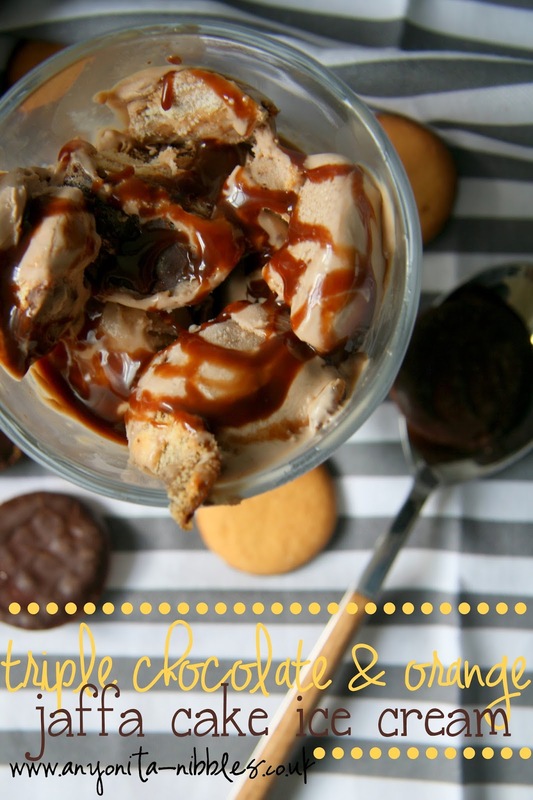 I love making ice cream at home, we don't have an ice cream maker, so this is a no-churn, easy ice cream to whip up. Mine was set in about an hour, but your freezer might take longer, so you'll want to check on it periodically. 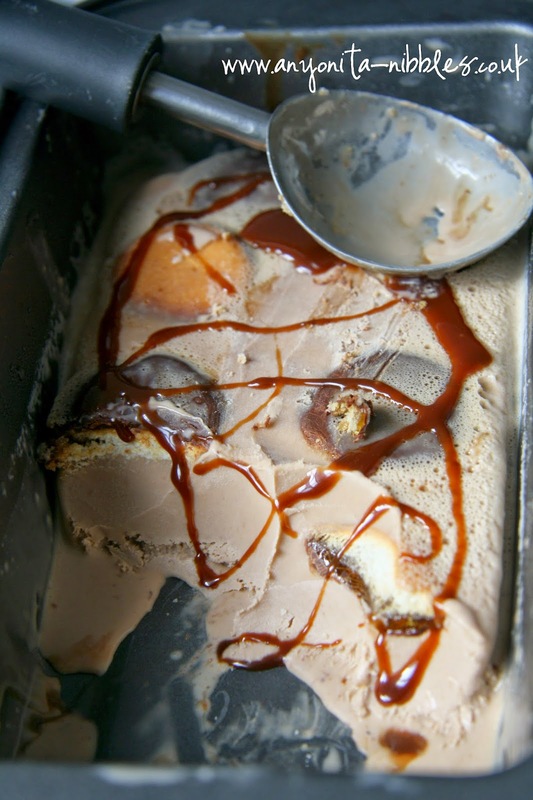 The star of this ice cream is the flavor and the repetition of the orange and chocolate flavor in different ways. 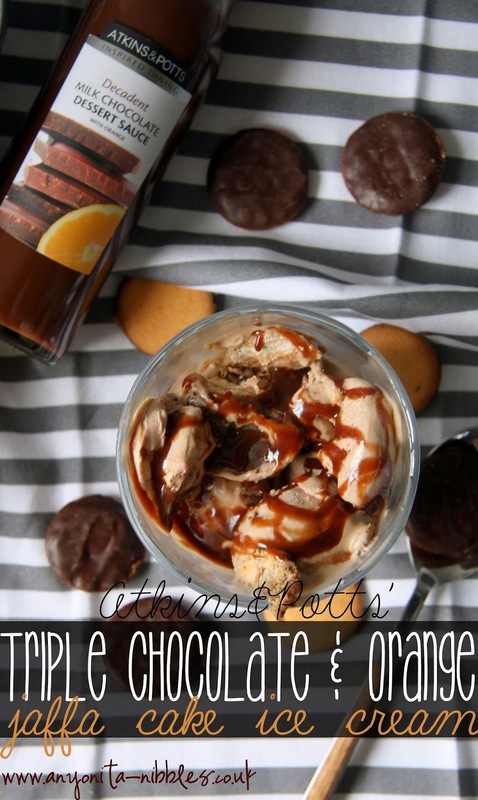 At the base of this ice cream is the decadent Atkins & Potts chocolate orange sauce that inspired this recipe. 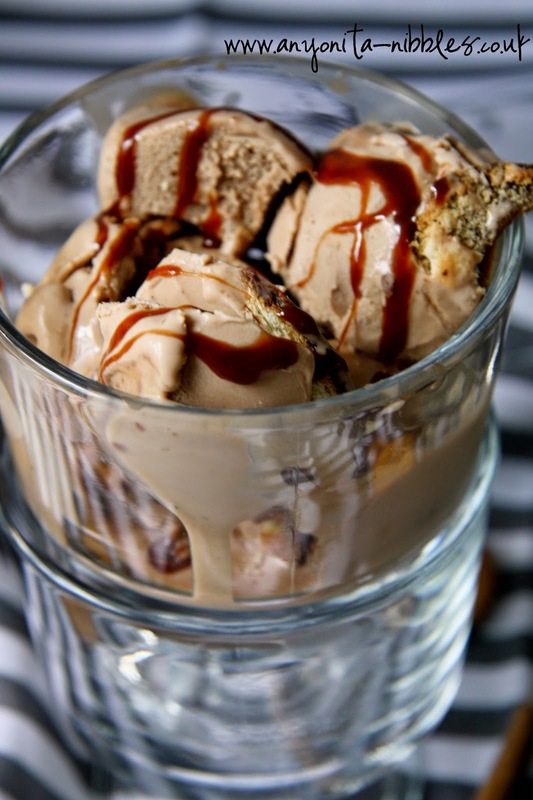 If you've never made ice cream before, this is a really easy recipe to get started with. Don't be intimidated, there's nothing to it! Ice cream making is a lot of fun. And once you make your own, you'll think twice about paying those astronomical prices for the shop bought stuff. I adapted this recipe from my smoothest, creamiest vanilla ice cream. Neither of those ice creams use milk, so you won't have to worry about the milk crystallizing and effecting your ice cream. By using double or heavy cream, you'll get a smooth, velvety texture every time. Pour the cream into a saucepan with the sugar, chocolate and chocolate sauce and bring to a gentle boil, stirring with a wooden spoon until all the sugar has dissolved. Put the egg yolks in a large bowl with the orange flavoring. Whisk together until incorporated. Slowly whisk a bit of the hot cream into the egg yolks, to temper the mix and to prevent the eggs from cooking. Pour the mix into a loaf tin, stopping halfway to press down some Jaffa cakes. 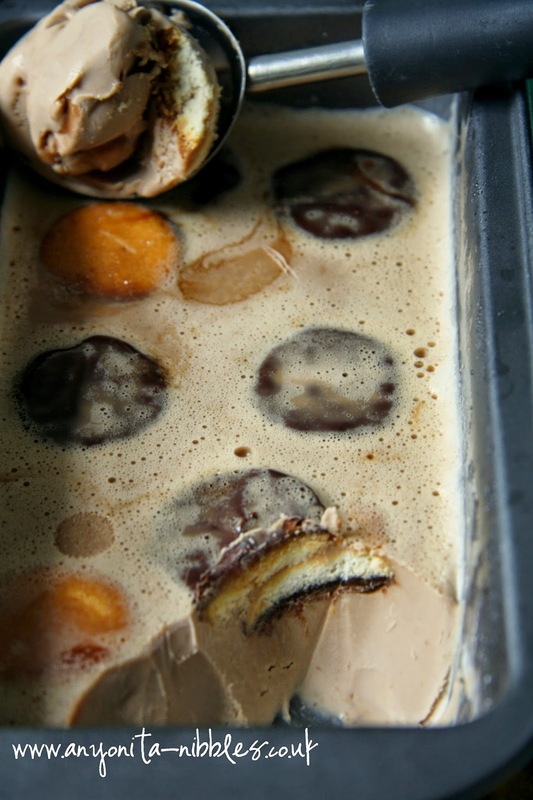 Pour the remaining custard into the tin, over the existing Jaffa cakes and then top with more Jaffa cakes. Freeze and enjoy! I am always done for a little ice cream. Or really a lot. I've also never had Jaffa cakes before so I'm intrigued. Decadent is the perfect word for this dessert. Oh My, I would like a dish. This looks absolutely divine!! I want to jump through my screen and take a bite!